When I was growing up, the church my family attended would hand out bulletins to every attendee on Sunday mornings. This 8.5×11 tri-folded sheet of paper had a simple enough job: to communicate the happenings of the church. But even as a young child who knew nothing about typography principles or visual hierarchy, I could tell that something was strange about it. Why was everything so squished together? Why were they using so many fonts, and why were half of them so hard to read? Something was just…off. If you grew up in the church you can probably think back and remember something similar. The sad truth is that for a long time, design really wasn’t an important consideration for the average church. For one, church staff are busy people! Everyone there already has another job to do, and no one has the time to worry about the weekly handout. Not only that, but good design costs money. 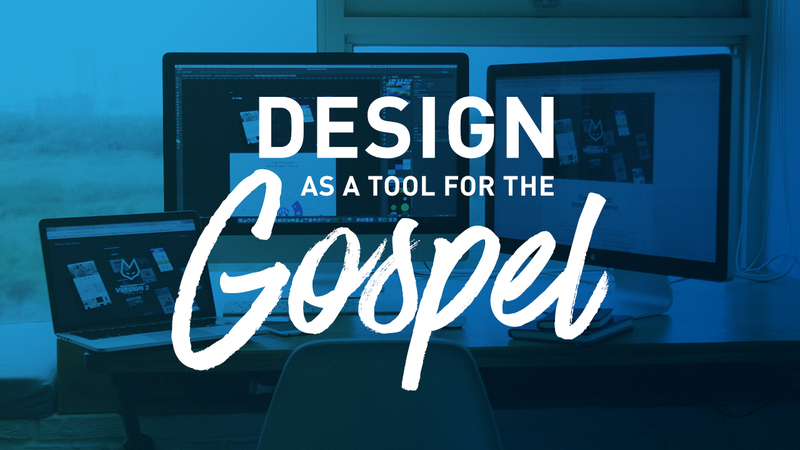 It’s not easy to shell out a few hundred bucks for a designer to create the look for your latest sermon series, so most churches just go without or have an existing staff member throw something together in Powerpoint. And lastly, why should design even matter? Is the word of God not powerful enough to stand on its own without all that nonsense? 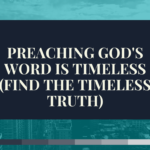 It’s not easy to shell out a few hundred bucks for a designer to create the look for your latest sermon series, so most churches just go without or have an existing staff member throw something together in Powerpoint. And lastly, why should design even matter? Is the word of God not powerful enough to stand on its own without all that nonsense? It’s a pretty common misconception that “design” means adding more colors, more fonts, and more flashy photography in an effort to make otherwise boring content more interesting. I’ll admit, on the surface that’s what it looks like, and is generally how the average person approaches it when they’re asked to design something. But in reality, design is all about communication. What information is most important and should be able to be absorbed in a quick glance? What color will resonate best with my target audience and stand out amongst the surrounding area? What typeface conveys the feeling the information is relaying while maintaining readability? Questions like this are at the forefront of every decision a good designer will make while working on a new project. And if you notice, they are all about how to make the information flow seamlessly between the graphic and the viewer’s brain. The main goal of the church should always be to communicate the good news of Christ as efficiently and to as many people, as possible. Good design is a tool to achieve that goal, never to get in the way. So with that in mind, what’s a young pastor to do when there is little to no budget to spend on graphic design? Well, I have good news. The design community is one of the most generous you’ll encounter. There are hundreds of amazing resources out there that literally give away everything you would need to create anything your church could need. For new fonts, Google Fonts, FontSquirrel, and Lost Type are your friends. If you’re looking for free photos, check out Unsplash. It’s got almost anything you can imagine. You can even find great color palette examples on sites like Coolor. Or, if the lack of time is your main issue and you’d rather someone else take care of all this design stuff for you, head on over to SermonBrand. We’re gearing up to launch our service made specifically for churches in your position, where hi-res versions of every sermon graphic we create will be available for free. And while we’re talking about it, feel free to contact us! We’d love to hear about the sermons you’re working on and any graphics you’d like to see included in the upcoming launch. Using any of the resources above will be a great step in the right direction for your church. 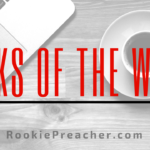 Not only will it breathe new life into your weekly sermons, but it will also engage and invigorate your congregation, leading to more people hearing the gospel. Got any other tips for injecting great design into your services? Let us know on social media: Join our Facebook Group, tweet us, or post on our Facebook Page. We would love to connect! Adam Hayman is the founder of SermonBrand, a resource dedicated to making great design accessible to churches no matter their budget. Streamline your weekly service prep with free sermon graphics created to engage and inspire your congregation.